Yet Cosmos: A Spacetime Odyssey still retains retrospective elements of inspiration and awe from the original. Host Neil deGrasse Tyson was a pupil of Carl Sagan early on, and this show has become an homage to the inspirational motivation of the legacy that has been passed on. The show was developed thanks to the comedic spirit and generosity of Seth MacFarlane, known for his comedies such as Family Guy, comedy has therefore become the conduit for the largest scientific show in the history of television. The original series aired on PBS, whereas the new one is broadcasted on Fox and National Geographic networks throughout the world. 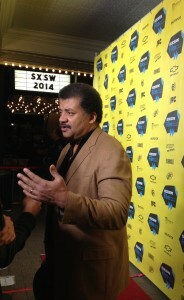 Muze Collective Magazine’s Austin-based host Sabrina Raquel interviews Neil deGrasse Tyson, Mitchell Cannold, and Jason Clark on the SXSW red carpet premiere of Cosmos: A Spacetime Odyssey. 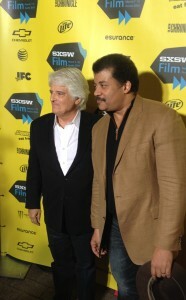 As executive producer Mitchell Cannold states, the series is “…imaginative, exciting, energetic, engaging, and magical science television…”, utilizing the latest in computer graphics and animation normally used in science fiction to tell the story of science fact, spurring conversation for the benefit of current and future generations.Neil deGrasse Tyson not only brings the magical sense of wonder in regard to science, but he also does so in a light hearted manner that brings the Cosmos down to earth for all audiences. 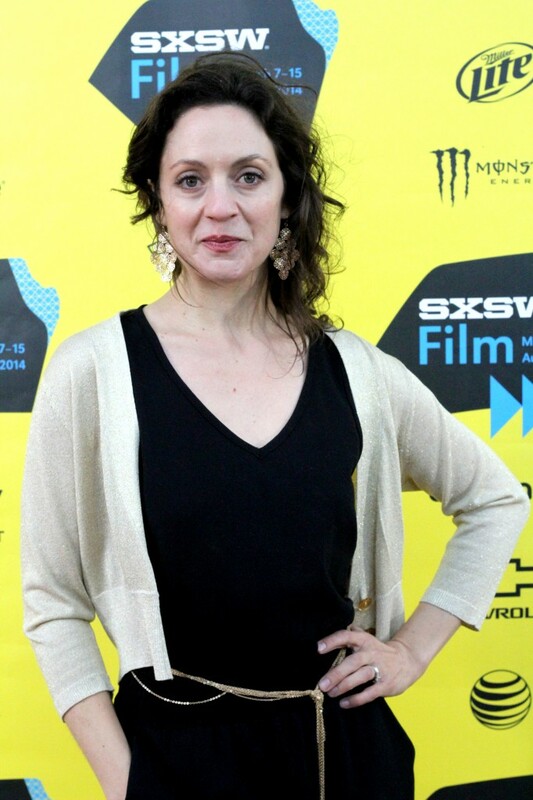 Muze Collective Magazine’s Sabrina Raquel interviews cast and creators from the SXSW premiere of Space Station 76. 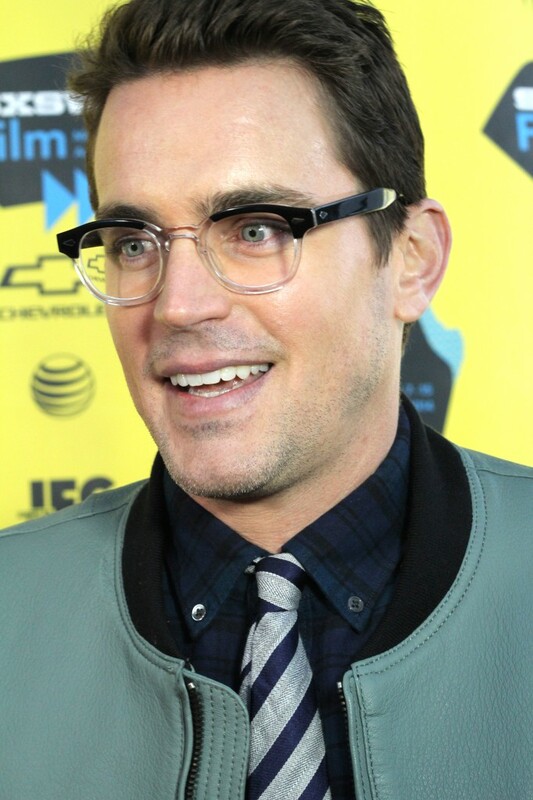 Featuring Kali Rocha, Jack Plotnick, Marisa Coughlan, Patrick Wilson, and Matt Bomer. 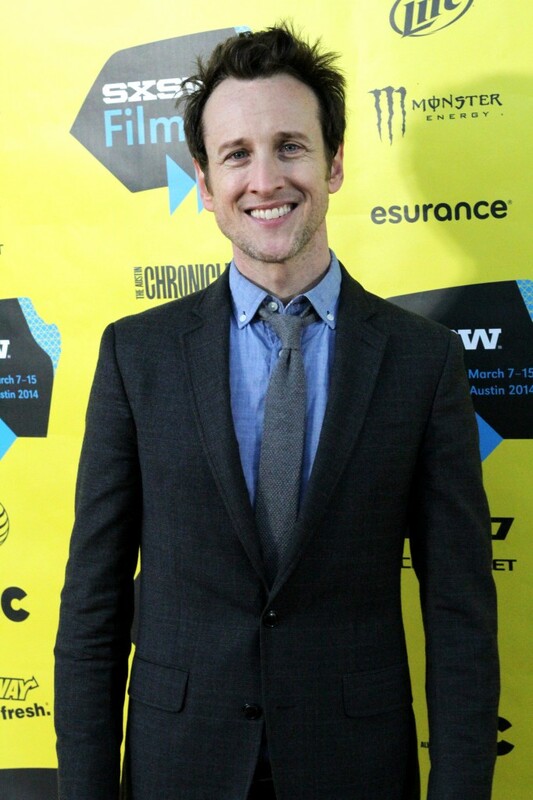 Another SXSW premiere that shares similar traits to Cosmos is the retro-futuristic comedy written by Jack Plotnick, Space Station 76. In our interview, we were able to hear about the utopian vision of the perceived future as it may have been envisioned by the atomic youth of the 70s. A former actor himself, Jack dives into a dark humor set in the dark setting of space. The rise of American suburbia that arose during the Cold War (the 1970s) was the idea of the perfect American Dream, which was a struggle as struggles became privatized and the rise of divorce arose under nuclear anxiety. Like the dreams that were not realized in the past, we have idealized dreams of the future and yet human imperfection will still find a way to come to the surface.